…for Amanda, June recipient of the Sew Connected 2 blocks. Amanda sent us each a portion of the alphabet that she embroidered on white linen, and our initials, also embroidered, to “sign” our block (love that idea! 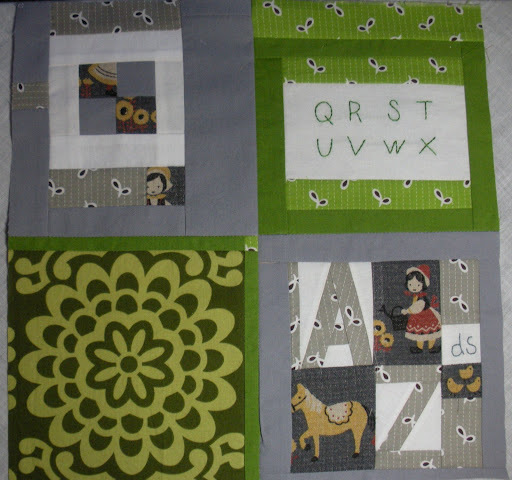 ), and some lovely green and grey prints and solids and a scrap of Japanese fabric. She asked for a 12.5″ improvisational block. 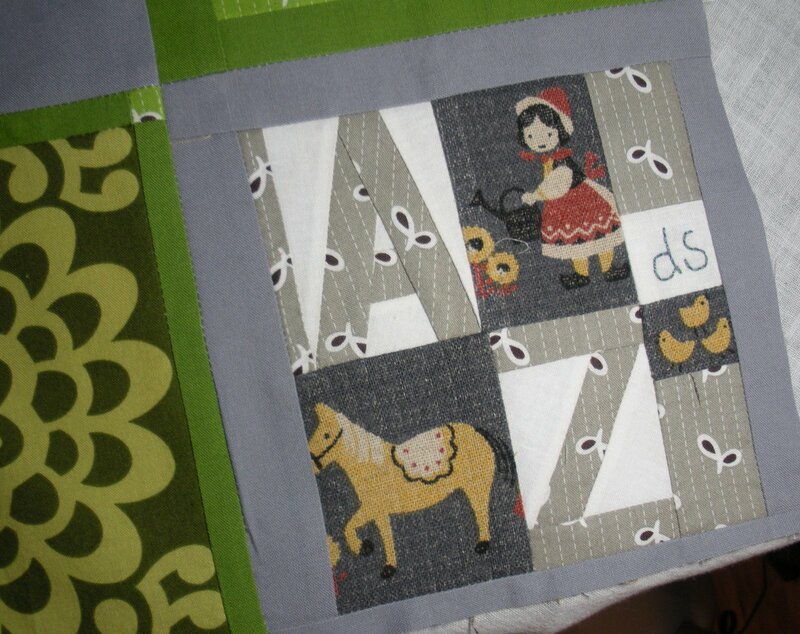 I decided to play up the alphabet idea by paper-piecing and A and a Z, and used as many pieces of the Japanese novelty print as I could get out of it! Love the little chickies! 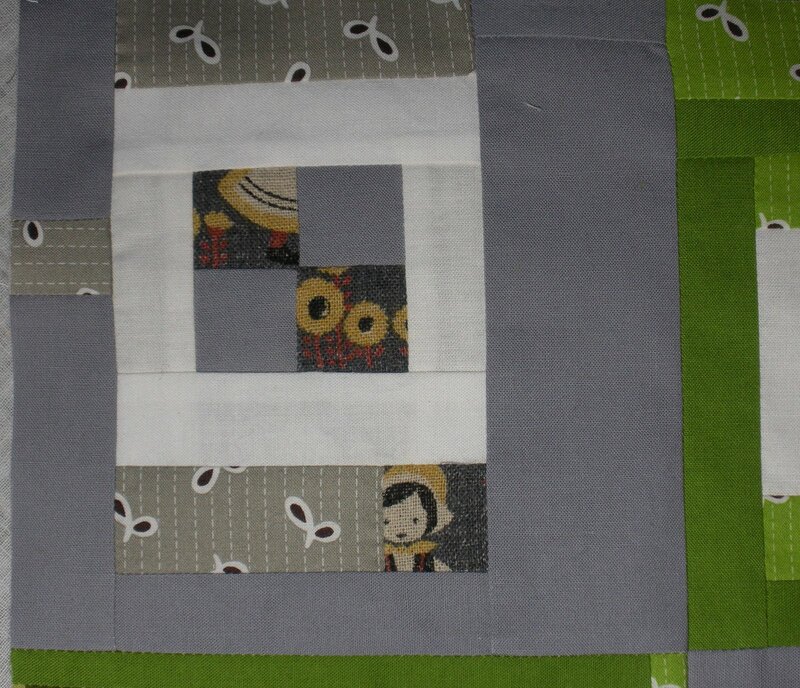 I hope she likes it…she’s going to have one fun quilt made out of all of these!